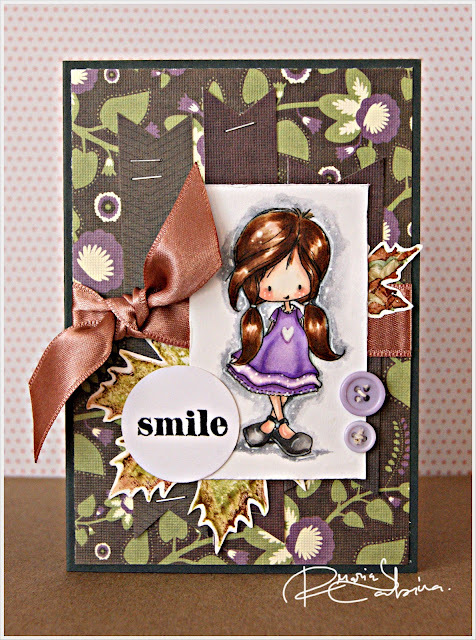 Kaz is our hostess this week over at Stampotique Designer's Challenge. The challenge? Whatever makes you happy! I used: Big Bee, Vintage Script, Vintage postcard and OH boys! stamps all by Stampotique. Come and play along! Check out our great DT! Oh what a night! I feel so tired and my arm hurts so bad! But hey! It's weekend! I have two new creations to share. I made them for an awsome client. I simply love them! Check them out and let me know what you think! It took me a while to finish the second box , because of the flowers. But the result is beautiful! Let me know if you have any question in the comments below. Have a great weekend! It's a new day, a new challenge! Check out Tiddly Inks Chellenge blog today to find out more about our new challenge: Wings. My card is pretty simple but adorable! I used Wryn New Wings digi stamp by Tiddly Inks. I really ''hate'' the lighting during the winter time so please excuse the quality of my picture. Come and play along with me and our wonderful design team! Have a great day! It's been a looong time since I made a tutorial, right? Well I have three reasons. I don't really like my camera , the lighting is not great during the winter and I hate using the lamp. I use tape... well a lot! I really don't like to waste anything...so I keep the plastic thing from my tapes. I really like this ribbon spool. 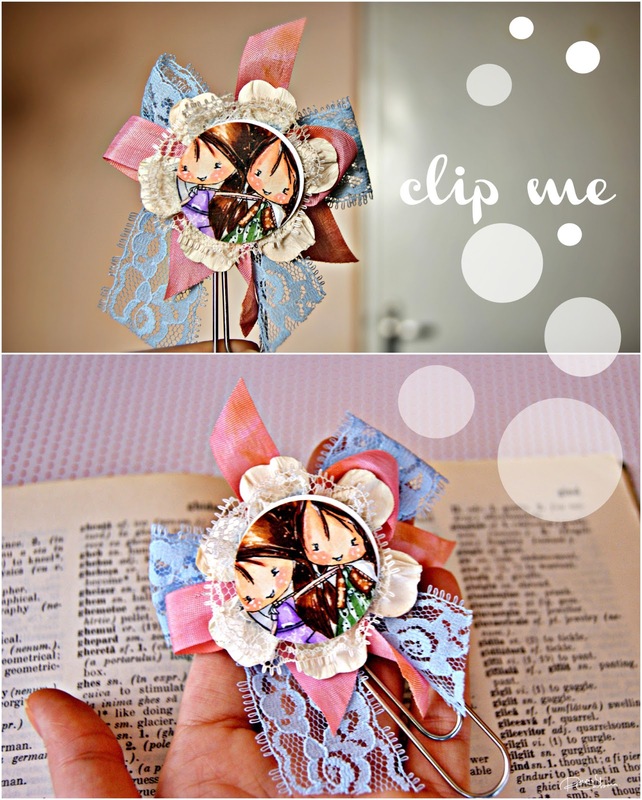 Wish I had all my ribbons like this *smile*. Anyways, check out the new tutorial ! For any question please leave a comment below . Thanks! What's your New Year's Resolution? 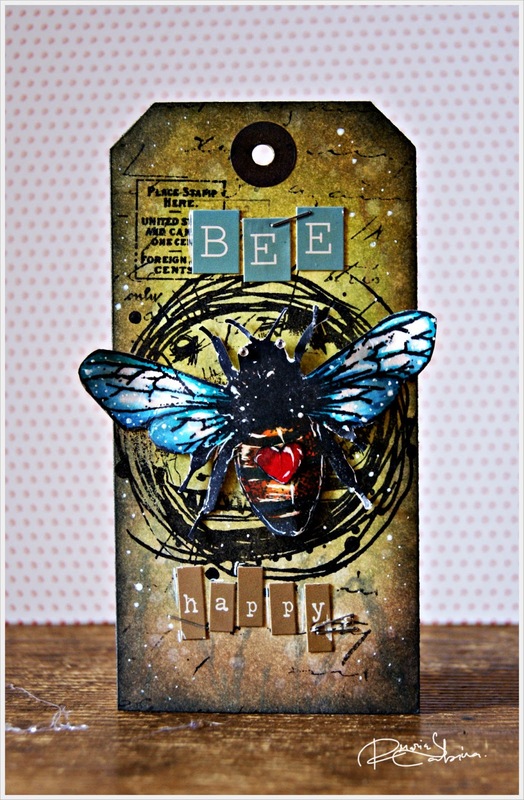 Get your stamps , craft supplies and play along with us over at Stampotique Designer's Challenge. The new challenge is all about New Year's Resolution. 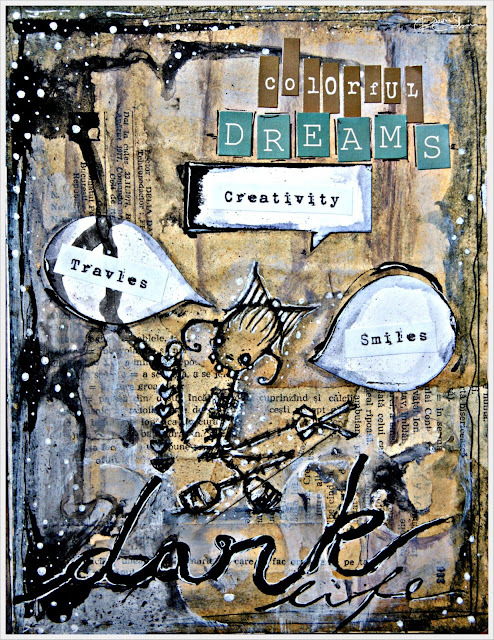 For this page I used Peggy rubber stamp from Stampotique. Check out the blog for more details. Have a wonderful day! Phew! What a crazy and busy week! Too much going on but guess what?! I love it! I have a new card to share but also some great news. Let me start off with my news. I really want to try something new this year and I know that some of you know that I like challenges. So this is something new and exciting! I have the amazing pleasure to be part of Craft Stamper Design Team Member for 2013! HOW COOL IS THAT!? Thanks Katy for giving me this amazing opportunity! Allright! Let's move on now! Today I have a super cute card! I know , I always say this but this is true! You must love Tiddly Inks designs! They are super adorable! For this card I used Eggcellent News digital stamp from Tiddly Inks! Read more here. That's all for today. Have a wonderful weekend! Oh boy! I feel so tired and sleepy. So much work going on . It's time for a new challenge over at Tiddly Inks Challenge! For this challenge guess what? ANYTHING GOES! So I made a cute paper clip using ribbons, laces, flower and Wryn and Emmy BFF digi stamp from Tiddly Inks. Come and play along! If you have any question please leave a comment below. Pa pa.
Stampotique is sponsoring Party Time Tuesday, the theme of their challenge is Celebrate. I made the card below using Zara's cupcake stamp from Stampotique. Yep , I know. Super quick post. See ya again next week with a new project. Have a great day! Finally I can craft! No more holidays! YEY! Today I have a quick and adorable card to share. Check out the awsome news over at Tiddly Inks. Please click this link. I simply adore this image. This is called: Happy Mail and you can get it from Tiddly Inks. Thanks for stopping by. Have a wonderful day! Welcome back to my very first post on 2013! YAY! Guess what!? Today we have a new challenge over at Stampotique Designer's Challenge. The challenge is called : Diary page. The great thing is that you can create a calendar page,journal cover or diary page. Awsome! I really love ( weird but true) inktense pencils. I must buy a canvas and do some artwork. Anyways, for this journaling page I used two stamps from Stampotique: Owl tree and World All Her Own. Please check out our blog today and play along! It's so much fun! Have a wonderful day!